THE teams are in for tomorrow’s two Victorian trial games at Ikon Park which pits the best available from Vic Country against their Metro counterparts. Released today, there is plenty of talent across the four sides as players try to stake their claim for a spot at the National Under 18 Championships. 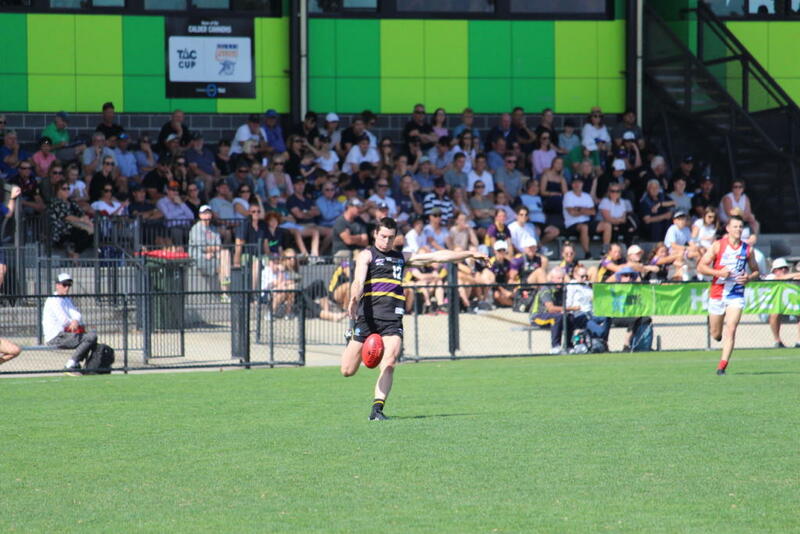 Among the sides are a number of overagers including Eastern Ranges’ Cody Hirst and Riley Smith, Murray Bushrangers’ Will Christie, Gippsland Power’s Kyle Dunkley, Geelong Falcons’ Charlie Sprague and Sam Christensen, and Dandenong Stingrays premiership co-captain Mitch Riordan. In terms of team-by-team breakdown, Sandringham Dragons have the most with 14 available players named for tomorrow’s clashes, one more than Gippsland Power. Oakleigh Chargers and Eastern Ranges both have 10 players each, while Dandenong Stingrays and Murray Bushrangers have eight apiece, one more than Bendigo Pioneers (who have three players unavailable) and Northern Knights. Geelong Falcons have six that will take to the field tomorrow with two unavailable, while Calder Cannons and Greater Western Victoria (GWV) Rebels have five with one unavailable player each. Western Jets have just the four players.